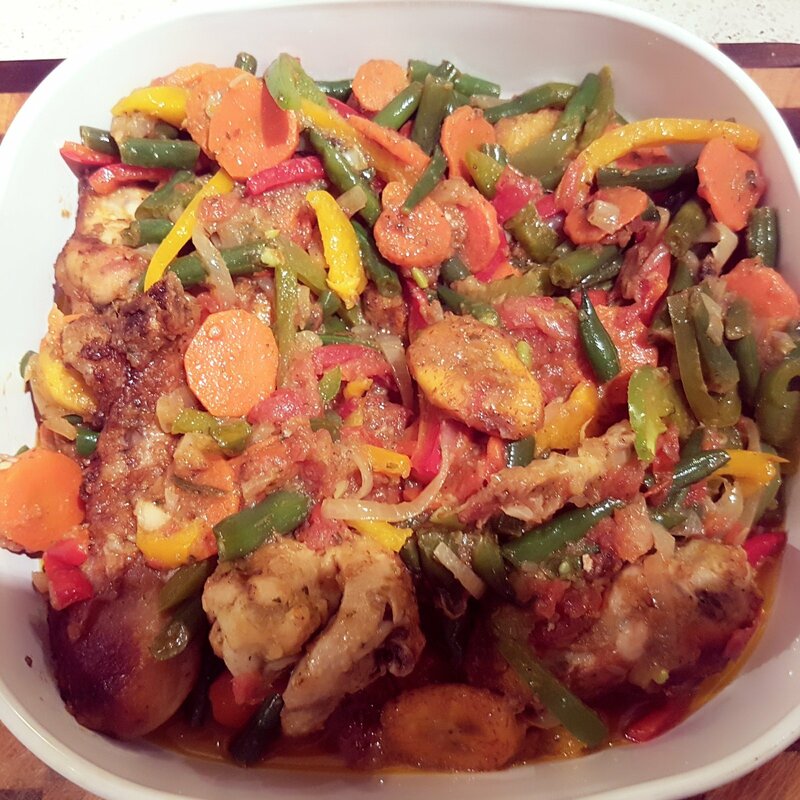 Cameroonian Poulet DG is among the nation’s favourite dishes due to it variety of vegetables spicy and tasty flavour and the fried crunchy chicken and ripe plantains garnished into a delicious tomato source. 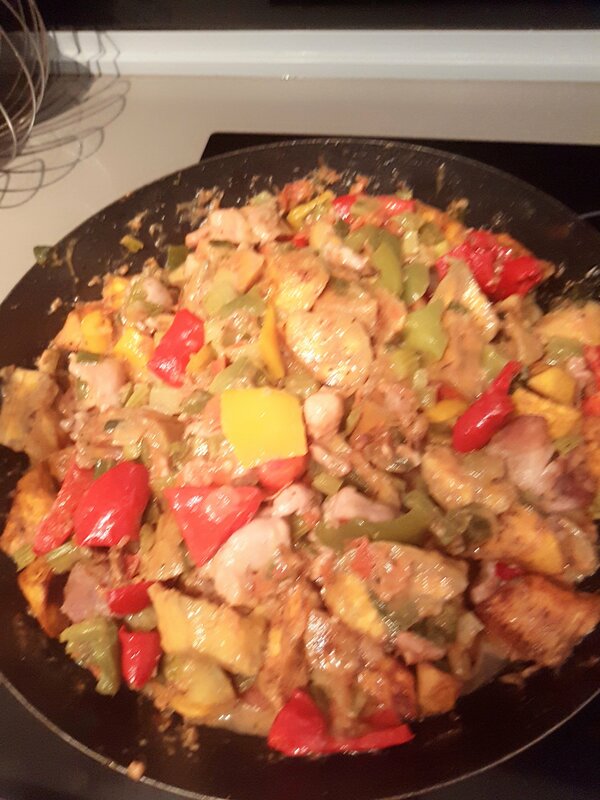 This chicken spicy vegetable source is rich with aromatic tropical spices , peppers / capsicums of different colours, herbanero pepper, ginger, garlic abd onion to give it that unforgettable taste. 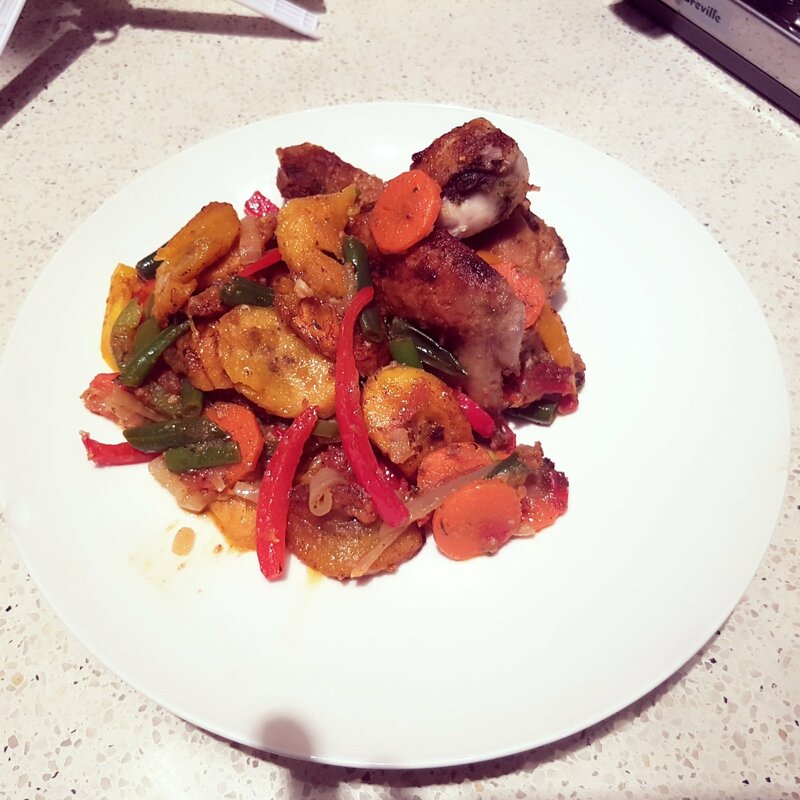 This dish originated from the littoral region of Cameroon and spread through out the country like wild grass due to it’s delicious taste and colourful nature. It appellation is also very unique and special. 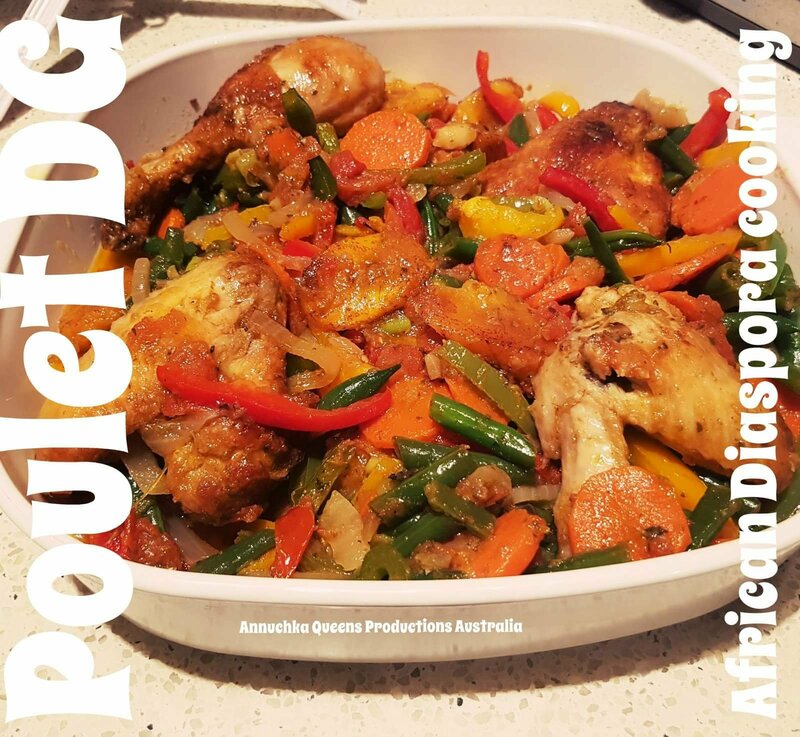 For people travelling to Cameroon from another Country, if you are looking for a delicious lunch or dinner, then ask for poulet DG in Cameroonian restaurants. You will easily find them well served in major Cameroonian city restaurants. A little insight about this dish: DG is a French abreviation of director general or general director as translated in English. “POULET” means chicken in English. Its a French word. This dish is regarded in a very high esteem in Cameroon. So it’s the dish of big bosses as the name reveiled. Well , thats just a big joke or a myth because everyone of any societal class cooks and eats this dish it’s not only for the DG,CEOS or big bosses. Thanks for watching. Do not forget to subscribe. Marinate your chicken with blended celery, ginger , garlic white pepper stock and salt to taste. Par boil your chicken or keep in the fridge for 30 mins before your fry. Incase you par boiled your chicken extract stock and keep aside Deep fry your chicken until golden brown and set aside. In a Skewer fry your onion and add diced tomatoes and fry properly for 7 mins until dry. Marinate with ginger garlic and salt and stir priperly . Place in capsicums the last 3 mins so as not to over cook them. Allow to cold down for 5 mins.